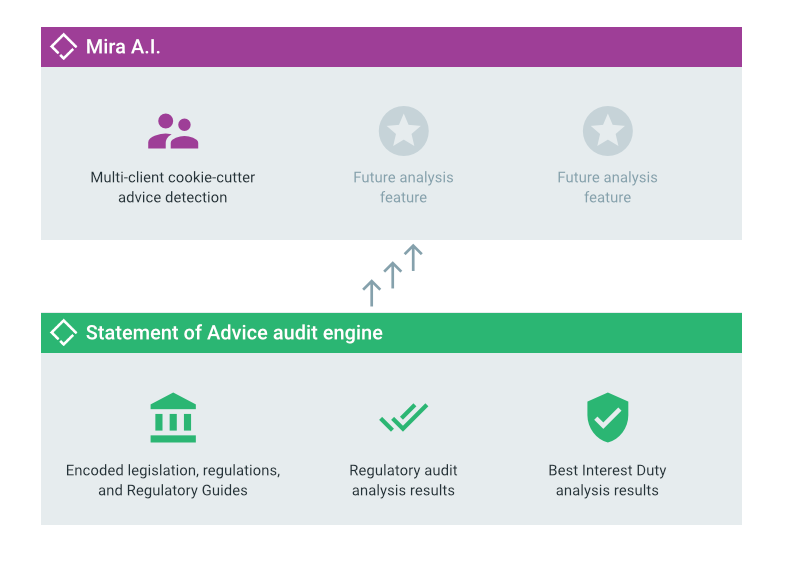 Mira is an advanced Artificial Intelligence engine that was designed for compliance analysis. Building on the detailed and accurate regulatory and best interests results captured from every SoA audit, Mira can provide risk insights that simply weren’t possible before. A challenge Australian Financial Services Licensees often struggle with is reviewing financial advice to identify trends and habits that occur across multiple client interactions. Normally done by experts in hindsight audits and reviews, it relies on a sharp and experienced eye to detect issues every time. 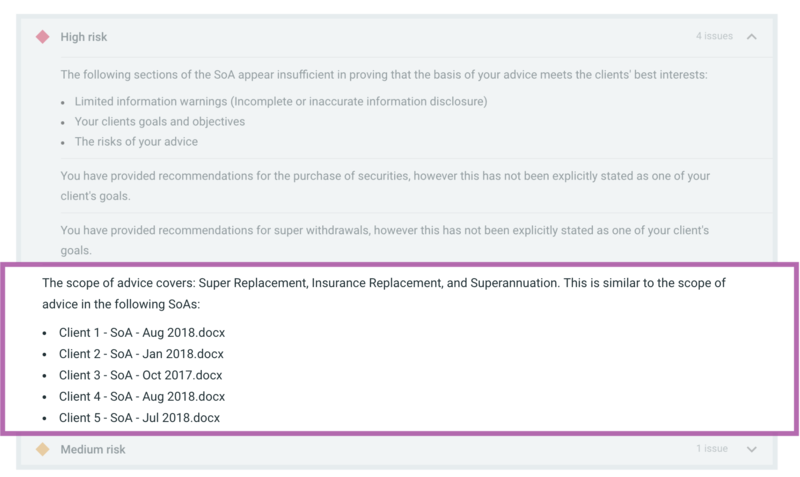 The latest stage of TIQK’s evolution combines robust audit datasets with Artificial Intelligence technologies to assess the quality of advice across all Statement of Advice (SoA) files produced by an adviser. Mira builds on the rules based expert system TIQK uses for regulatory audit as its foundation. Now and for the first time there’s a truly automated solution to detect so-called “cookie-cutter” financial advice in SoAs. “Cookie-cutter” advice is where an adviser repeats the subject matter of their advice to many different clients over time, and it is identified as one of the strongest Key Risk Indicators for Australian Financial Services Licensees in ASIC’s Report 515. This provides compliance experts with immediate feedback on trends and behaviours, so that they can be addressed before becoming real and expensive issues. Mira represents the latest stage of TIQK’s evolution. You can expect to see its capabilities applied to a wide variety of complex compliance analysis challenges in future beyond detecting cookie-cutter advice. Contact us to learn more about Mira.